The Supreme Court on Friday held Meghalaya mine owner responsible for the mine tragedy that claimed lives of 15 miners. The apex court issued notice to the owner of the coal mine saying he was responsible for the illegal mining due to which the mishap took place. The top court directed that the owner of the mine be made party in the pending petition seeking urgent steps for rescuing the miners trapped in the rat-hole mine since December 13 last year, news agency reported. 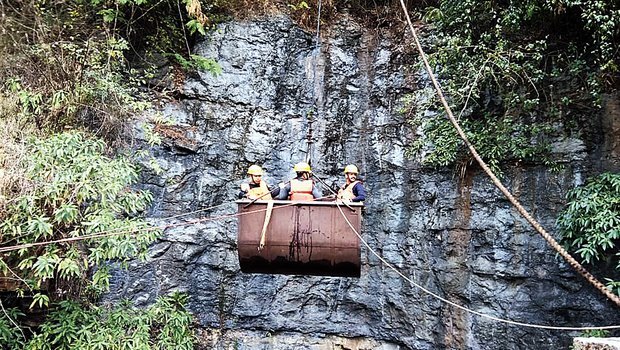 The illegal mine is located at Ksan in East Jaintia Hills district, about 3.7 km deep inside a forest and can be accessed after crossing three streams. It was flooded when water from the nearby Letein river gushed into it. “The mishappening has taken place because of illegal mining in the concerned mines for which, obviously, the mine owner is responsible. It is, therefore, directed that notice be issued to the mine owner also, namely, Jrin Chullet @ Krip Chullet, R/O Village Narwan of District Khliehriat, East Jaintia Hills District, Meghalaya,” the bench said. The top court sought the mine owner’s reply by February 22 and directed the Meghalaya and Coal India Ltd. to furnish details of other illegal mines operating in the area. It posted the matter for further hearing on February 22. Senior advocate Anand Grover, appearing for petitioner Aditya N Prasad, said that the problem of de-watering the mines still persists. Solicitor general Tushar Mehta, appearing for Centre said that it these pumps would be airlifted to the nearest point of the site and with the help of the Army authorities, they will be installed at the earliest. Advocate Karan Singh Bhati, appearing for Coal India Ltd. said he wants to file status report on behalf of the company. On January 16, remotely operated vehicles of Indian Navy detected a body at a depth of 210 feet in the flooded mine and efforts were made to retrieve it but the operation could not be completed as the body parts started disintegrating.